Embrace : MARCELA MORAGA M.
Close to the gallery was an abandoned field, such a places in the city where vegetation grows between old televisions and other leftovers. There I found a lot of branches, which I use for my installation. 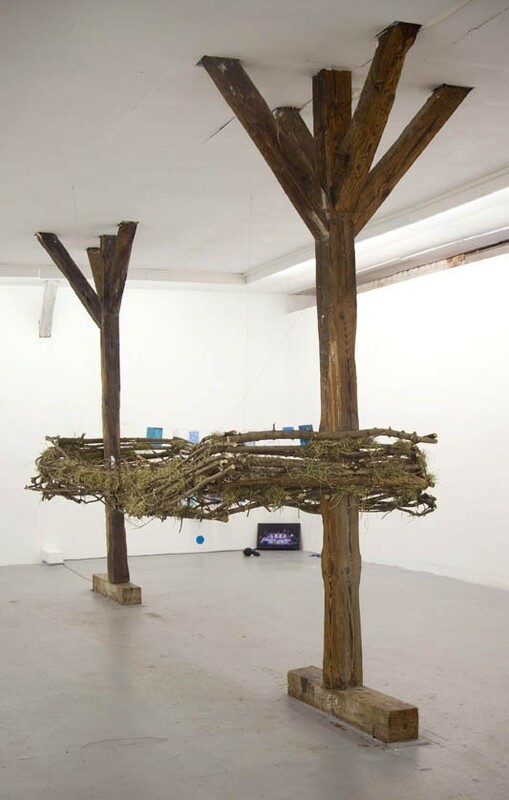 My idea was to build with those branches a protected space in the gallery, a kind of nest. 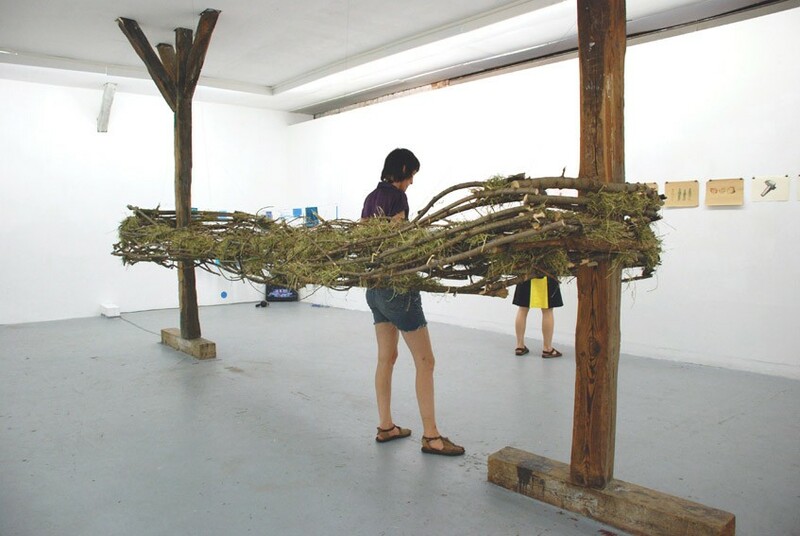 I assemble the branches between two wood pillar of the gallery, then I put between the branches a lot of green hay, it makes that the installation was smelling. 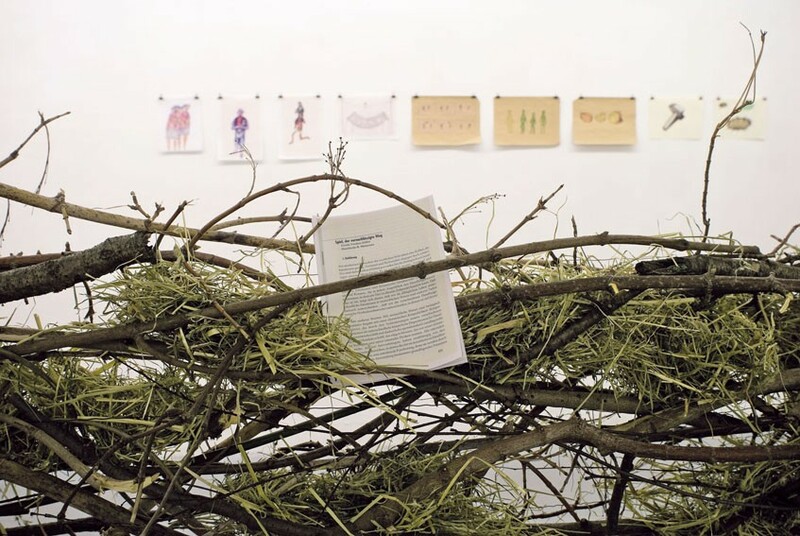 Between the branches and the hay were two small notebooks with texts selection from “Love and Play: the forgotten humanity principle ( Liebe und Spiel: Die vergessenen Grundlagen des Menschseins) a book of the chilean Biologist Humberto Maturana.